Training your employees to perform at a level that consistently exceeds your customer’s expectations is critical in the hospitality industry. Effective training is a direct precursor to customer loyalty that leads to a delightful experience. 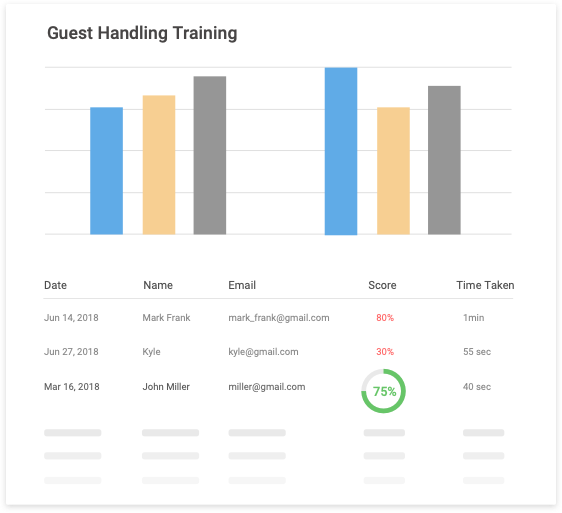 ProProfs hospitality LMS training system helps you deliver insightful and intuitive training that plays a key role in ensuring quality service. Whether you are a local restaurant, or an international hotel chain, hospitality training with ProProfs Learning Management System helps you focus your valuable time and resources on things that matter. A common problem faced by trainers and course creators is creating highly engaging and great looking eLearning courses without having to code or employing graphic design expertise. Not any more with ProProfs LMS software! Create beautifully designed and interactive courses on hospitality training with visually pleasing hospitality course templates provided for ProProfs. You also have access to the ProProfs course library containing hundreds of ready-made courses including hospitality training. Customize with your own branding and create beautiful courses that delight learners. ProProfs LMS for hospitality training allows you to organize users into functional groups by creating a departments or specific user groups. 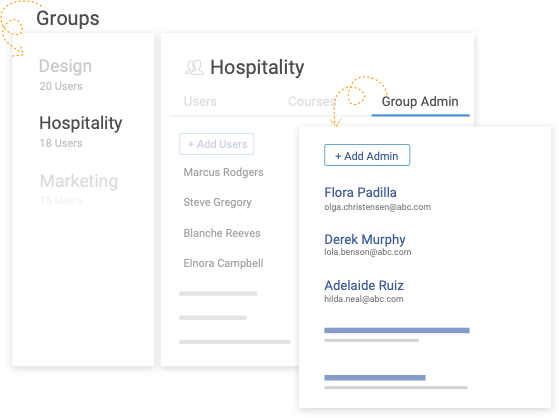 User Groups offer a flexible way to group learners based on their location, job profile and organizational structure. You can also control access to these groups with permission controls that let you decide who can access and manage which of these groups. Assign specific roles like “administrators”, “instructors”, or “moderators” to help reduce administration overheads by delegating tasks automatically. Admins can check and report on the users belonging to the specific groups they manage. ProProfs LMS makes allows easy tracking of the course progress, exam performance, training histories and much more for all your learners taking hospitality courses. The administrator dashboard comes with great looking and insightful graphs and charts that make tracking and analysing data a piece of cake. You can configure these reports to your requirements and export them in downloadable formats like Excel or PDF. The LMS is fully compatible with all devices and platforms so these reports can be generated anytime anywhere. ProProfs LMS comes with special features like single sign-on that help save your organization time and money while significantly enhancing the security of your data that lives in the cloud. 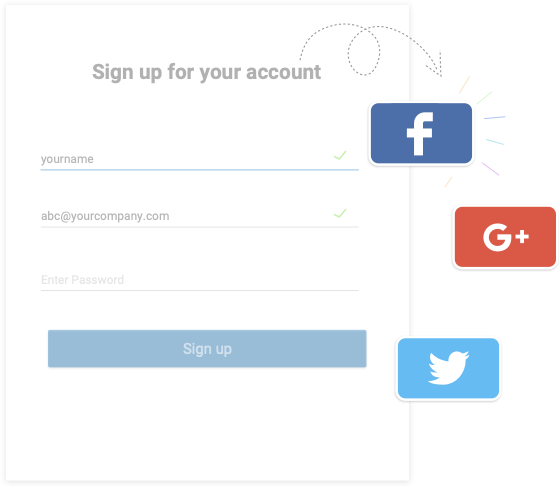 It also makes it easy for your learners to log in conveniently using their existing Social media or Google logins without running the risk of password fatigue or phishing. Integration with LDAP further allows you to import your LDAP user base into ProProfs LMS and keep all your hospitality training courses and learners in sync.